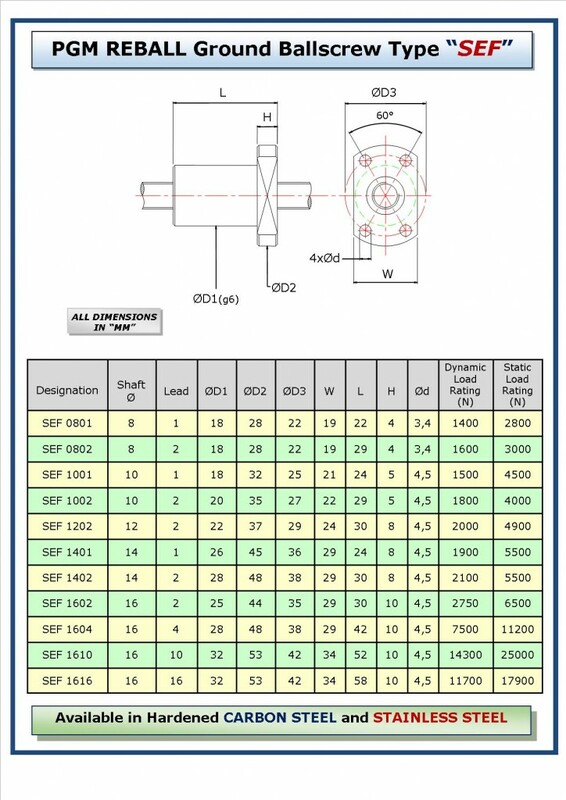 These are our Standard Technical Specifications for SAM, SCM and SEF. 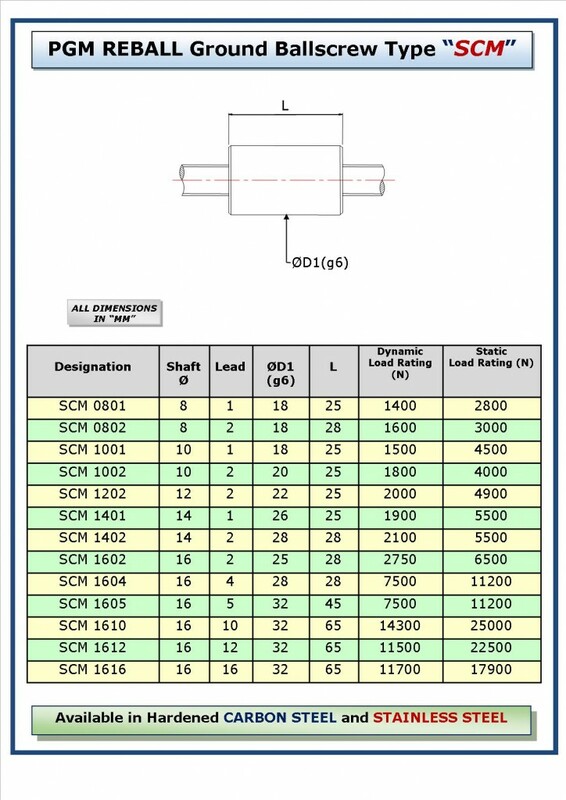 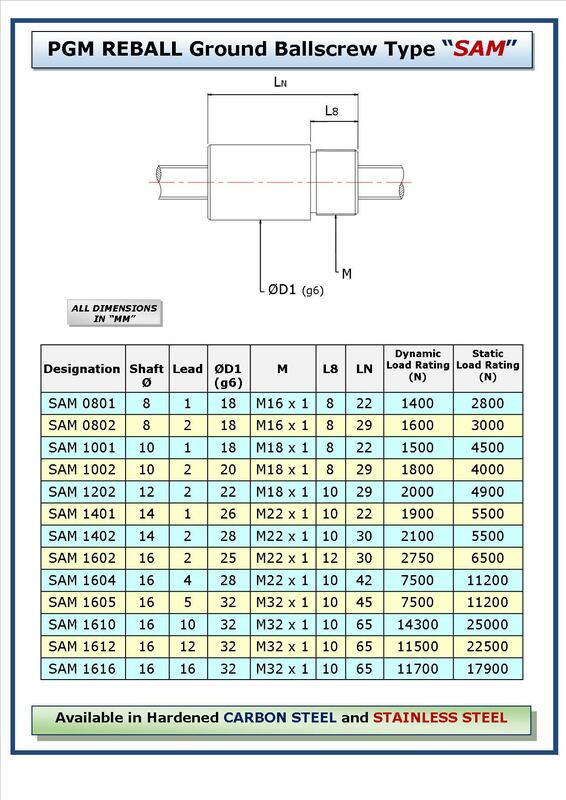 The following tables show Dynamic and Static Load Ratings for Ballscrews made from Stainless or Carbon Steel. 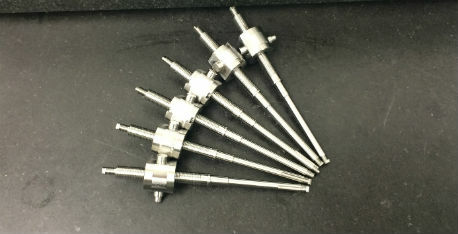 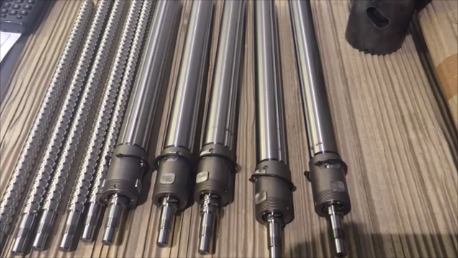 Technical Speicifcations for other naterials such as Titanium or our custom designed Miniature Ground Ballscrews can be calculated and made available as part of the development project.